The woman was badly wounded by a nail bomb. 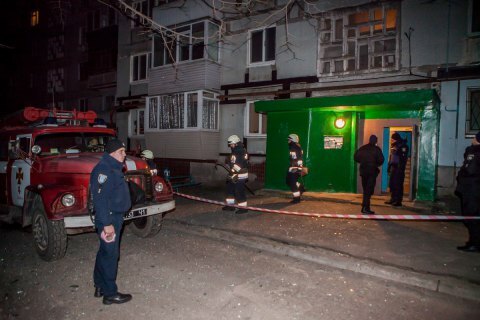 A female police officer was badly wounded as a result of an explosion in a tower block of flats in Dnipro's Halytska Street at around 5.30 a.m. on 24 May, according to the Informator website. According to preliminary reports, a DIY explosive device detonated when the officer, who lives in this house, opened the door to her flat. She has shrapnel wounds all over her body because the bomb contained nails and other small elements. The windows in the block were smashed by the blast. Police are working on the scene.